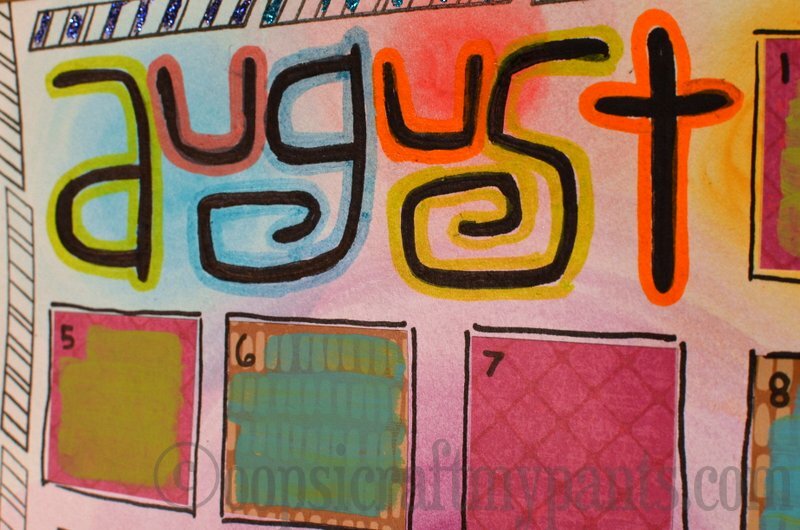 Oops, I Craft My Pants: August! 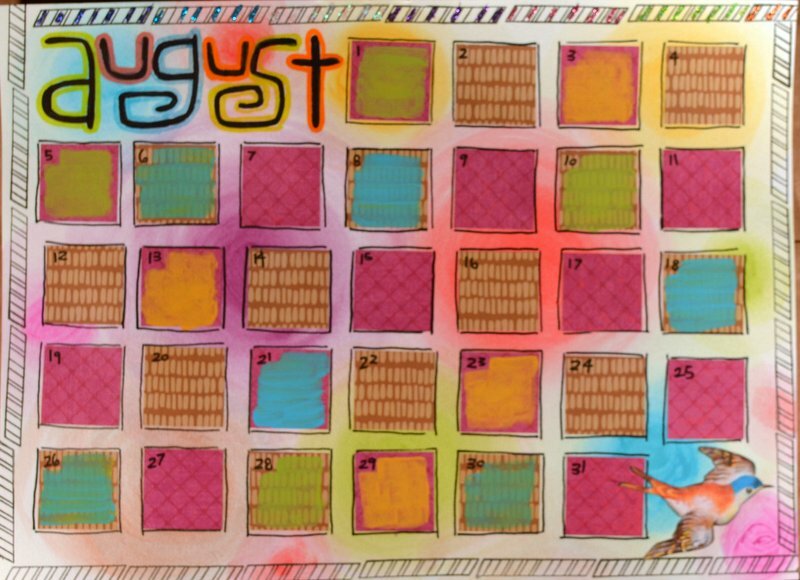 Continuing the Art Calendar! 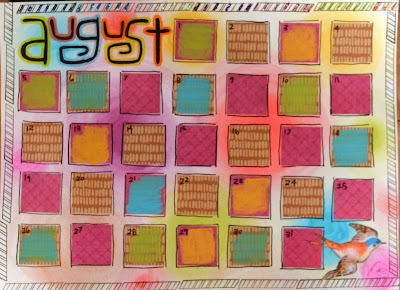 For this month, I needed something little because of the tiny space I had for a focal point, and colorful to match the background. I picked this wee bird from the Parrots Collage Sheet. 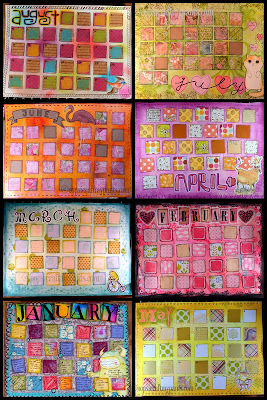 Aaaaand lastly, I had to share the collage of all 8 months so far :) To see more calendar page delightfulness, check out the challenge at the Kathryn Wheel! Happy Wednesday to you all. 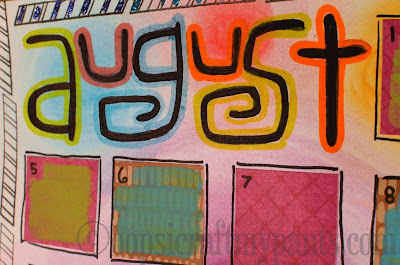 This month I am working my way through a small altered journal, with the goal to create in it every night. The book is pretty little, so nothing major. So far so good! Great job sticking with it! Your pages are wonderfully coloured and textured individually and make the most fantastic collage when put together. Well done. I like all the happy colours you integrated in you page. Fantastic pages! 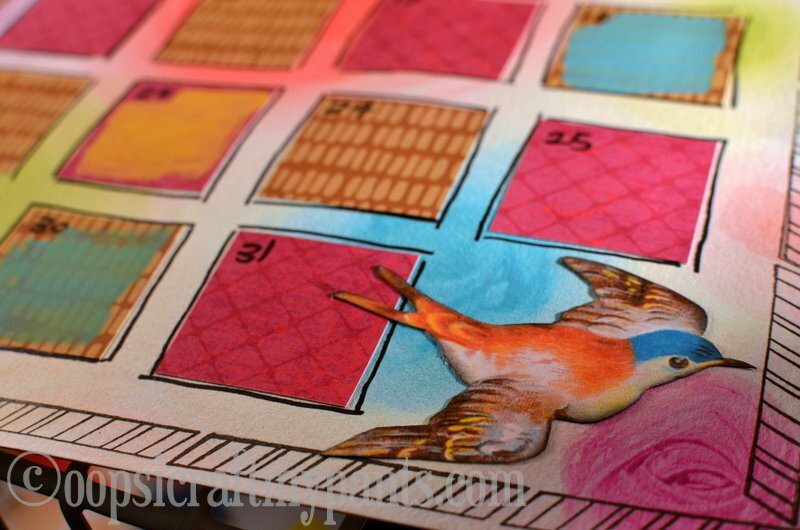 Love the August colors and sweet bird flying off to the next page.